Certain ultrasonic frequencies (beyond human hearing) can irritate certain insects and rodents. This repeller emits these frequencies to keep these creatures away. 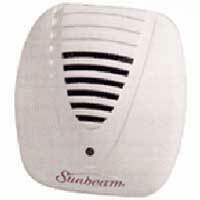 Simply plug this device into any 110-Volt AC outlet and ultrasonic waves are automatically emitted.